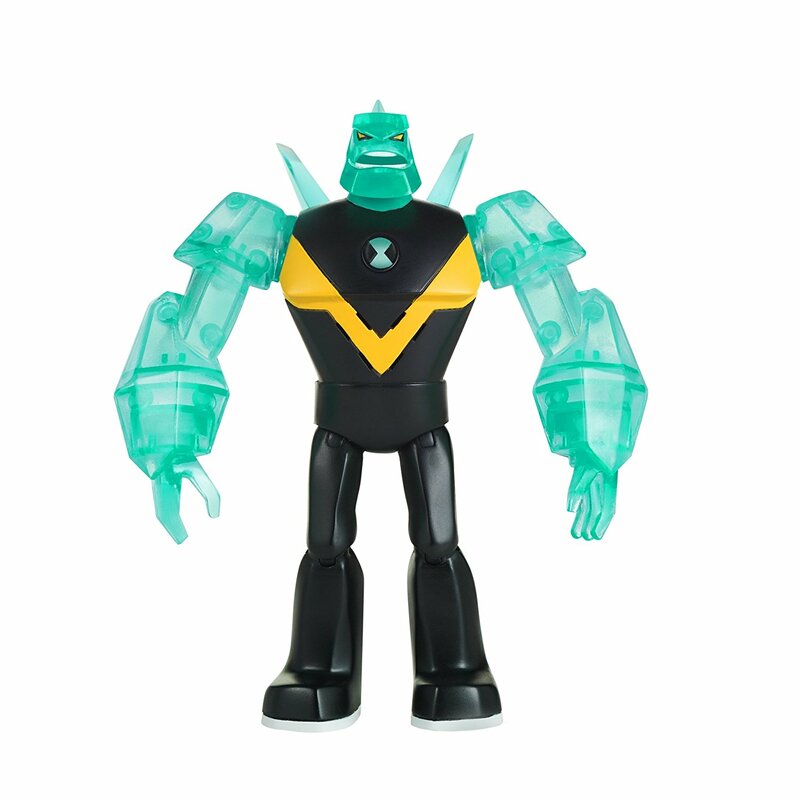 Ben 10 is back, and there’s a new range of super awesome toys in store now to celebrate! 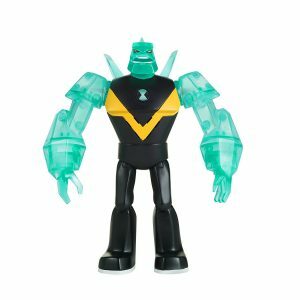 After Ben Tennyson acquires a mysterious device known as the Omnitrix, he can transform into ten different aliens, each with their own powers, and help to save the world from bad guys. 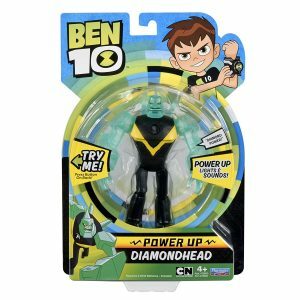 Diamondhead is one of the Ben 10 Power up interactive figures, at 15cm high it features power up lights and sounds. If you push the small button on his back he will say various signature alien phrases from the animated series. These include ‘Diamondhead to the rescue’, ‘it’s hero time,’ and ‘time to sharpen your skills.’ If you hold the button down you’ll get an instant alien blast, and then he will power down if you leave him alone. He is fully articulated so you can move his arms up and down, as well as turn his head. His arms, head and the shield on his chest all light up at different times when he talks. His legs can be moved at the hip and knee joints, and it’s quite easy to get him to stand up by himself too. 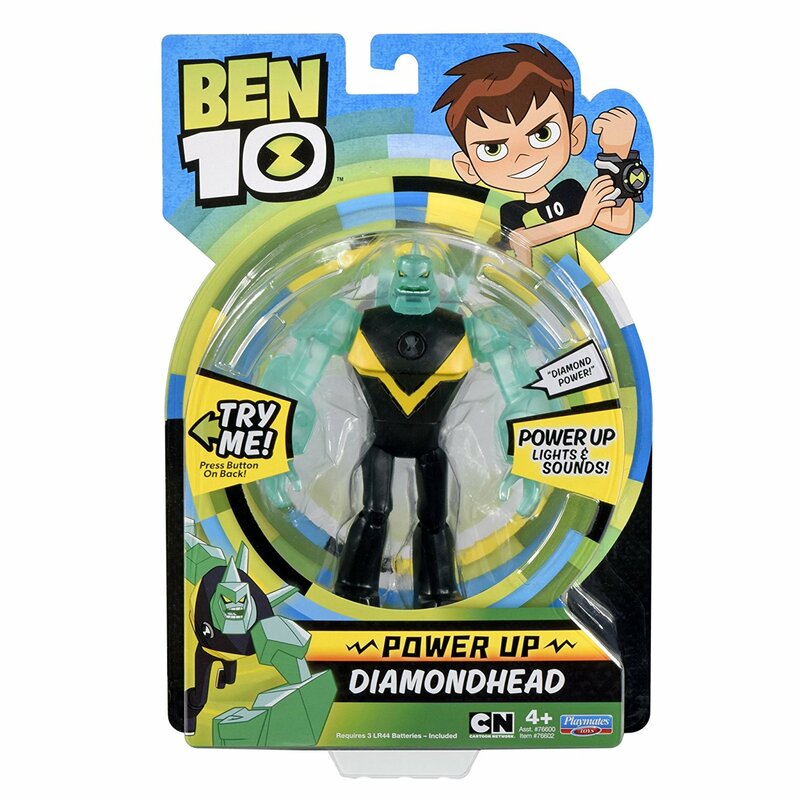 The Diamondhead Power Up figurine is available from leading toy shops and online retailers for a recommended retail price of R299.99. This range, which also includes Heatblast and Four Arms, is recommended for ages four and up.